CEBU CITY, Philippines - Despite votes in 3 clustered precincts that were not canvassed, Mike Rama of the United Nationalist Alliance (UNA) was proclaimed mayor on Tuesday, May 14 at the Cebu City Hall. 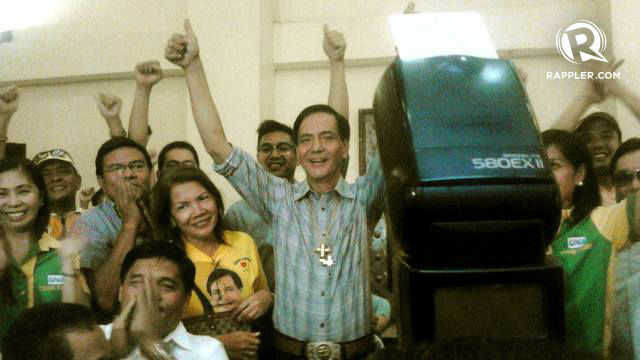 Rama won his re-election bid as the city's chief executive, defeating Tomas Osmeña of the Liberal Party (LP). The votes in the 3 clustered precincts will not affect Rama's lead. The final tally are as follows: Rama with 217,448 votes and Osmeña with 211,072 votes. In city hall, Rama wore his signature crucifixes, one machined gold and another black enameled silver. Osmeña conceded defeat prior to the proclamation. 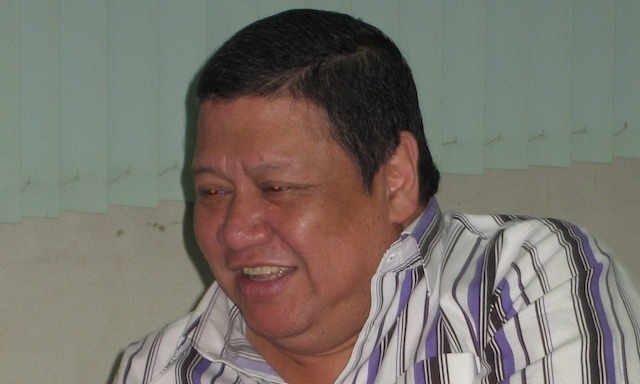 He served as mayor of Cebu from 2001 to 2010 and as 2nd district representative from 2010 to 2013. First district congressional candidate Raul Del Mar of LP and 2nd district candidate Rodrigo Abellanosa were also proclaimed winners, as their lead were also enough to secure the win. The delay in canvassing was caused by defective memory cards of the Precinct Optical Scan (PCOS) machines. Ex-Rep Antonio Cuenco and ex-mayor Alvin Garcia were also present during the proclamation. "I consider Team Rama the team of the future. I hope BO-PK (Bando Osmeña-Pundok Kauswagan) doesn't have any hard feelings. That's just how elections are," said Cuenco to the press. Cebu City is the center of Metro Cebu, one of the 12 metropolitan areas in the Philippines. It has 547,681 registered voters, according to Comelec records. It is divided into two legislative districts. The 1st legislative district has 248,292 registered voters in 46 barangays and 34 clustered precincts, while the 2nd legislative district has 299,389 registered voters in 34 barangays and 36 clustered precincts. 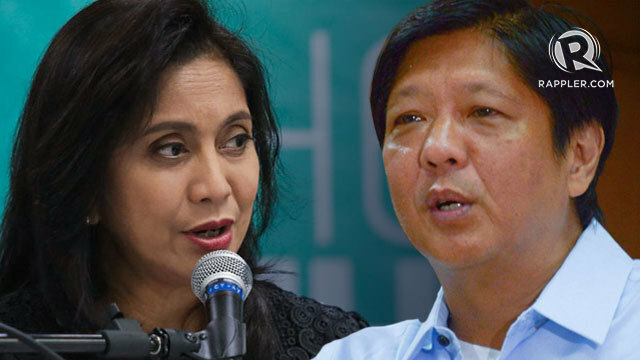 Is your bet leading in the 2013 elections? Mirrored from Comelec 2013 election results data, we bring you latest numbers fresh from the server! See how fast the Comelec election results data is transmitted through the PCOS Transmission Status Map! For overall live updates on the aftermath of May 13 and stories leading up to Decision Day, check out our extensive 2013 Philippine elections coverage!